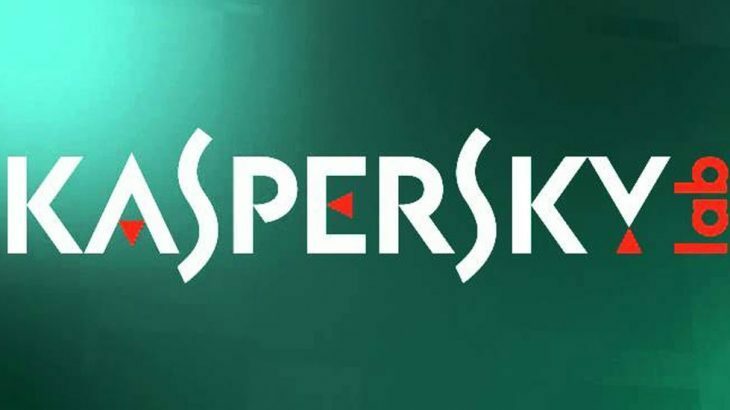 The last twelve months have been rough on Kaspersky, due to speculated relationships between certain company officials and Russian intelligence. The U.S. government was first urged to determine where they were using the security solution. They were then given 90 days to remove the program and find an alternative security program. Shortly thereafter, the private sector was urged to reevaluate their use of the program. Next, Congress issued legislation banning Kaspersky from federal devices. Since, the company has issued a lawsuit against U.S. Congress, reporting their claims are unsubstantiated and they were not allowed due-process. The Department of Justice is working to dismiss Kaspersky’s lawsuit case. 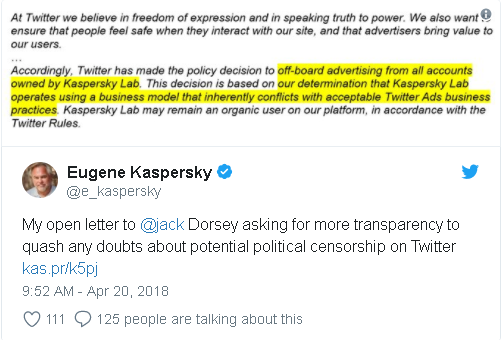 Now, Twitter has pulled Kaspersky’s ads from their social media platform, stating the ads are not in alignment with the Twitter ad business practice, due to the company’s business model. According to Fortune magazine, company officials were aware of the ban of their ads since January. Eugene Kaspersky has since asked for clarification on the matter. TechTalk Slider, tips kaspersky, twitter. permalink.